One of my favorite projects each month is the post and projects that I come up with for the World Market Discover blog. I’ve been sharing over there for over a year, and it keeps me pushing my creative boundaries. 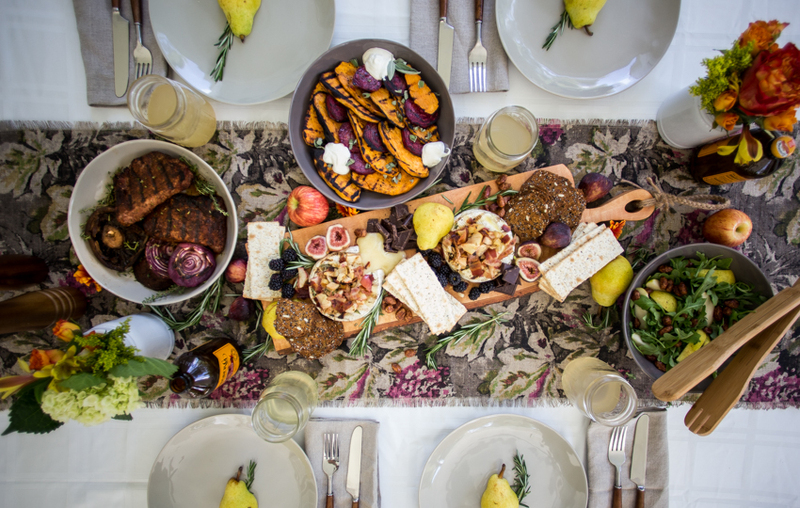 This Fall Barbecue came to me as a result of wanting to linger in between summer and fall for a bit with the outdoor grilling feeling of summer with an autumn inspired menu. We had just moved to Virginia when I styled and shot these images, so I was planning to use my new backyard. And then it rained! I quickly called a new friend who was generous enough to let me come use her covered patio and grill to cook, style, and shoot the meal. Then we sat down together and enjoyed it all. The combination of flavors, textures, and colors is really fun in this meal. There are some unexpected pairings, and everything tastes fresh. Every part of the meal is cooked on the grill, so I was able to prep and cook it all in about 40 minutes using just a cutting board on the patio. The beets and potatoes go on first, gathering sweetness as they caramelize. 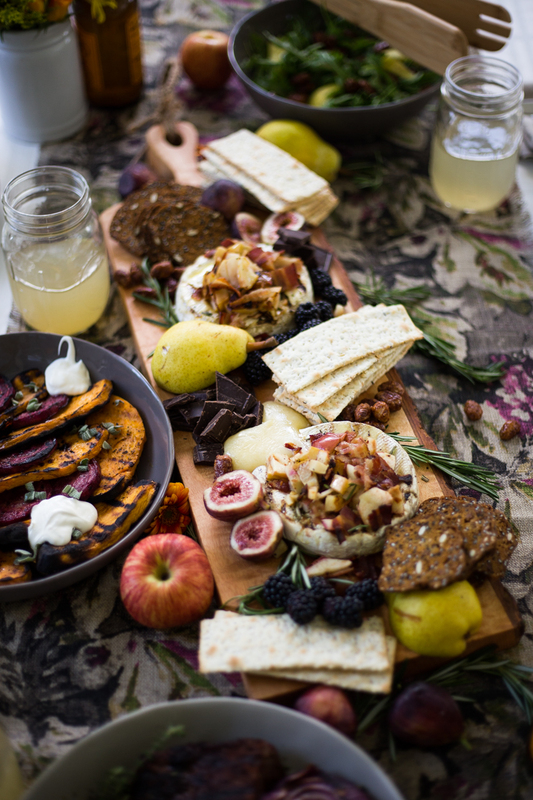 The brie, bacon and apples go on next making an incredible combination of rich and gooey goodness for piling on crackers and fruit. Then finally the steak and portobello mushrooms, which grill quickly to perfection. 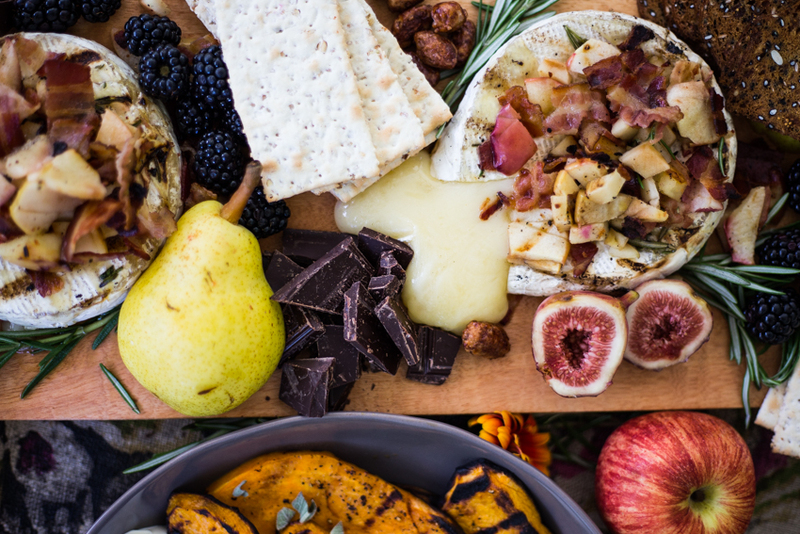 A beautiful cheeseboard filled with the brie, crackers, fruit, chopped chocolate, and berries becomes the edible centerpiece of the table. Hot and cold sides scatter throughout, and the meat can be passed around. The whole layout of the table top was so effortless, yet it looks really full, beautiful, and intentional. I love the messy, organic feel of a full table like this, with whole fruit, greenery, and flowers tucked in and around the dishes to make it all come alive. 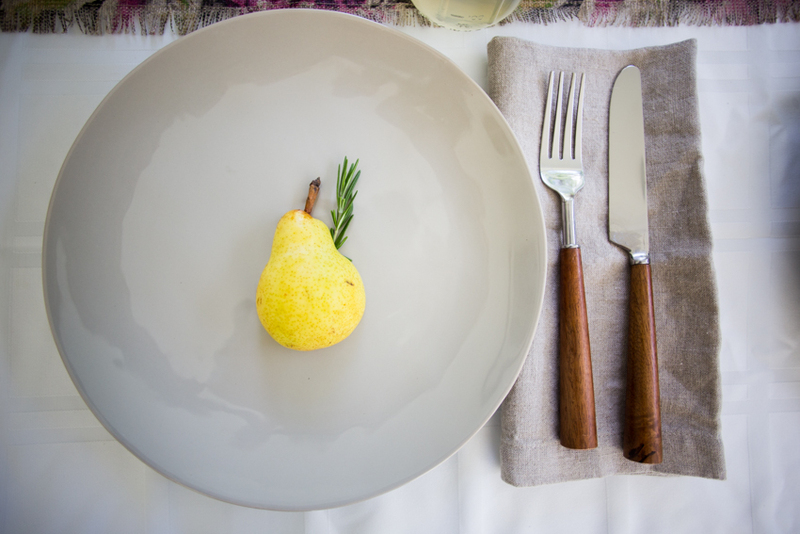 I cut these sweet pears in half and placed them face down, with a sprig of rosemary for a simple and pretty place setting. You could easily tie a name card onto the stem for an easy Thanksgiving table decoration. I think we’ll use this idea again at our house. Coming up with and executing these menus, tabletops, and ideas is one of my favorite pieces of my job as a content creator, and I love to share. 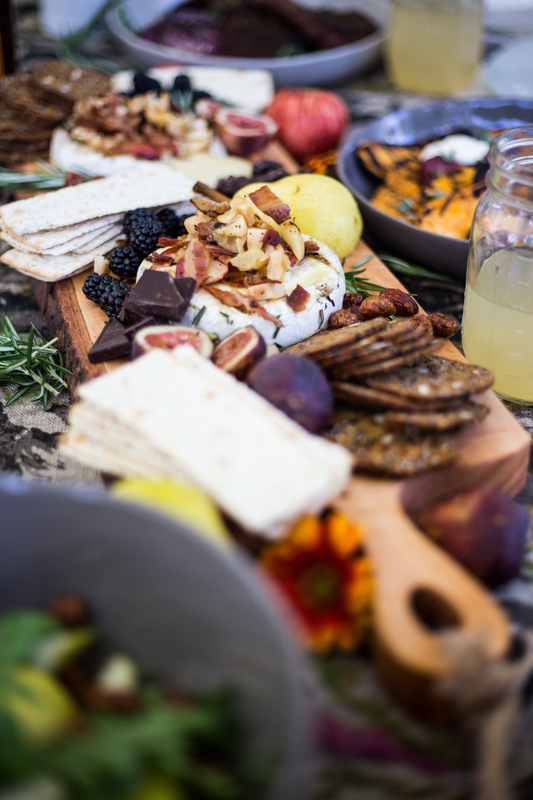 You can find the whole menu, with detailed grilling instructions and products used over on the World Market Discover blog right here.